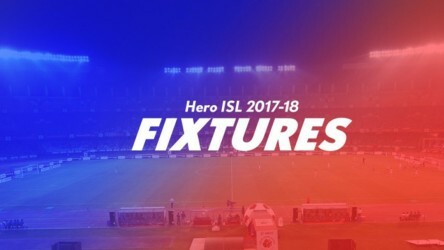 Second-half substitute Harpreet saved the blushes for Bibiano Fernandes' team after the visitors wasted numerous chances in the first hour. 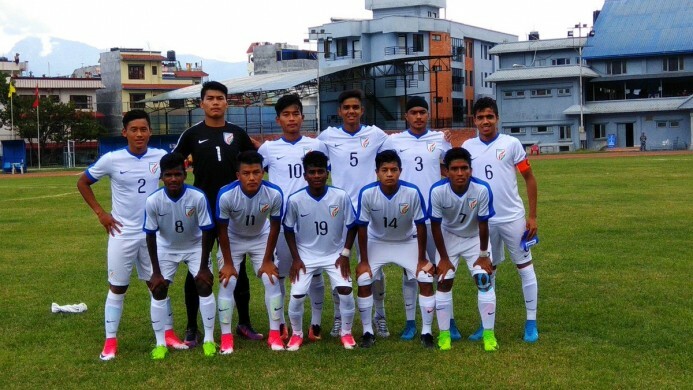 India U-16 played out a thrilling 2-2 draw against Nepal U-16 in their second match of the AFC U-16 Championship Qualifiers at the Halchowk Stadium. After a cagey first half, both teams stepped up their quality in the 2nd half as two superb goals from substitute Harpreet wasn't enough for Bibiano Fernandes' side as two impressive efforts from Brijesh Chaudhary made sure that points were divided on the day. Bibiano Fernandes' side made quite the impression in their first match against Palestine a few days ago when they convincingly defeated their opponents 3-0. There was only one change made to the team, with central defender Shabash Ahmed being replaced by Thoiba Singh. The Gorkhalis, on the other hand, were unchanged from their last match against Iraq, as the hosts were looking to come-back from the bitter defeat suffered at the hands of Iraq a few days back. The match started in a confused manner as both teams battled it out in the middle of the park trying to gain possession early into the match. Bekey Oram tried his luck from the right flank as he hit an ambitious shot which whiskered over the bar. India got the first real opportunity of the game in the 14th minute when Vikram Pratap Singh broke away from the defense and found himself through on goal, but his shot was saved well by Bishal Sunar. The Gorkhalis almost instantly replied back to this when they tricked their way past India's defense, but Ranjan Pun was offside when he looked like he'd score the opener. The Young Tigers got a corner in the 24th minute, as Bekey delivered a beautiful ball into the box and was met by Thoiba Singh, whose header went just over the bar. Both teams were looking dangerous in set-pieces as Nepal also got a corner 2 minutes later, and Randeep Paudel's header went sailing just over the top corner. India's electric winger Lalchhanhima Sailo hit a powerful shot in the 28th minute but Sunar saved it well. Things were getting a little physical as Vikram Pratap Singh fouled Sanjib Aryal on the edge of Nepal's penalty box and was lucky to not get booked for it. Pun put in another dangerous cross in the 34th minute which left Jongte scrambling outside the box from chasing the ball, but Nepal couldn't capitalize on it. 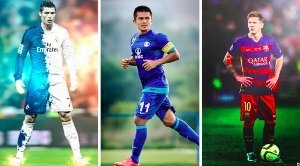 Nepal received a free-kick from 35 yards out in the 39th minute, and it was struck with real venom by Darshan Gurung but the diving Jongte pulled off a stunning save to parry the ball out for a corner. India tried to break down the defensive structure of Nepal in the final minutes through some set-pieces, but the Gorkhalis continued their solid defending going into the break. 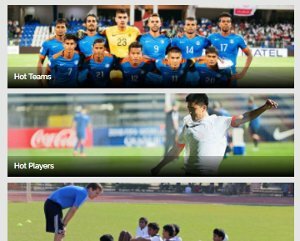 The Indian final squad for FIFA U-17 World Cup 2017 is here! India started off the 2nd half with a lot of energy as the Young Colts looked dangerous on the attack. They also got a free-kick from just outside the box in the 48th minute, but the resulting free-kick from Givson Singh was shockingly poor. The Tigers got another free-kick six minutes later, as Givson's cross was met by Vikram Pratap Singh, whose header went out for a goal-kick. Nepal went on a threatening counter-attack in the 60th minute when they capitalized on a mistake by the Indian defense and a one-two between Brijesh Chaudhary and Roshan Rana Magar meant that the skipper had a clear view of goal, but his shot went sailing over the post. Vikram Pratap Singh showed some impressive pace a few minutes later as his ambitious shot from an acute angle on the left-side of the penalty box whiskered past the goal. Both teams would get chances soon after as a mistake from Sunar in the 64th minute saw Ravi Bahadur Rana get a clear shot on goal, but his shot was saved on the line by Nepal's defence. The Gorkhalis also got their chance two minutes later, when Gurung showed some fancy skills before hitting a powerful shot from his left foot which was inches away from heading into the top corner. Nepal continued to frustrate India with their impressive work in midfield and stubborn defending and the deadlock was finally broken in the 77th minute when Brijesh Chaudhary found himself in some space and hit a beautiful shot from his left foot, which glided into the bottom corner and beyond Jongte's grasp to give Nepal the lead. India looked to be shaken by this and kept on mounting attacks, but were denied by Nepal every-time. The Tigers finally found some luck in the 82nd minute when substitute Harpreet Rulbir's powerful long shot from 30 yards out was too hot for Sunar to handle, as the ball blasted into the back of the net and the game was tied once again. Nepal's mental strength was broken by this equalizer as the Young Tigers regained control of the game and kept attacking. Lalrokima found the ball in the 85th minute as he tricked a Nepalese defender with his clever movement and delivered a sweet ball to Harpreet, whose shot glided into the net and gave India the lead for the first time in the match with only a few minutes remaining on the clock. It looked like the Gorkhali's were down and out, but they decided to mount all their energies into scoring one more goal. Their midfielder Brijesh showed a lot of heart as he found the ball at the edge of the box and hit a stunning shot which sailed over Jongte and into the net, much to the delight of the supporters and players alike. Both the sides showed the hunger for the winner, but they cancelled each other out in the end of this enthralling bout. 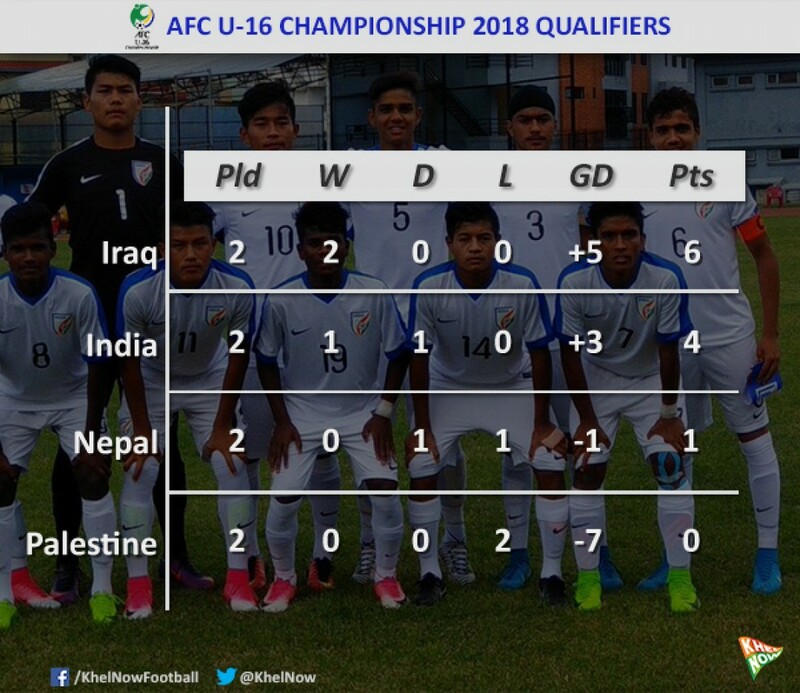 India need to win its last game over Iraq to ensure a smooth passage to the AFC U-16 Championships next year. In case they falter and lose against the Middle East nation, the scoreline in the Nepal-Palestine encounter will be the key for the Blue Colts.